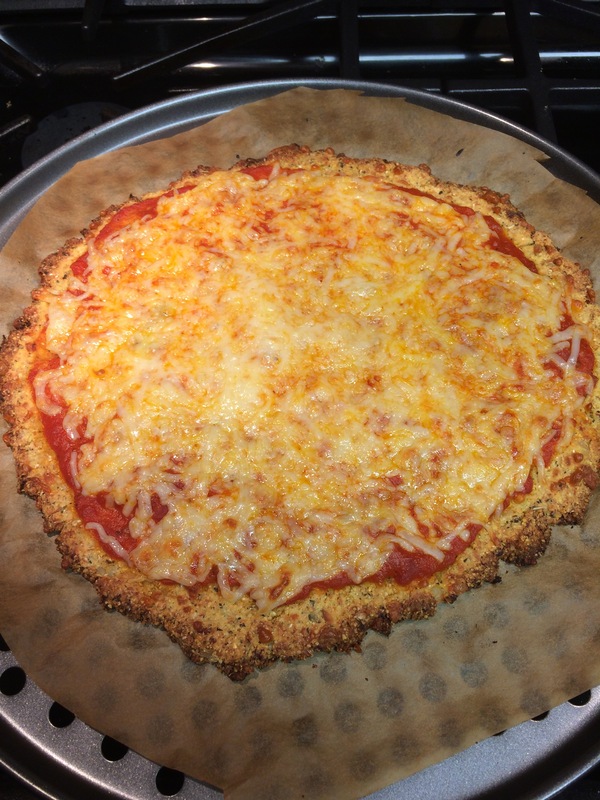 My Pinterest feed is always flooded with cauliflower crust recipes, as they are supposed to be a chewy, delicious gluten-free alternative to pizza crust. 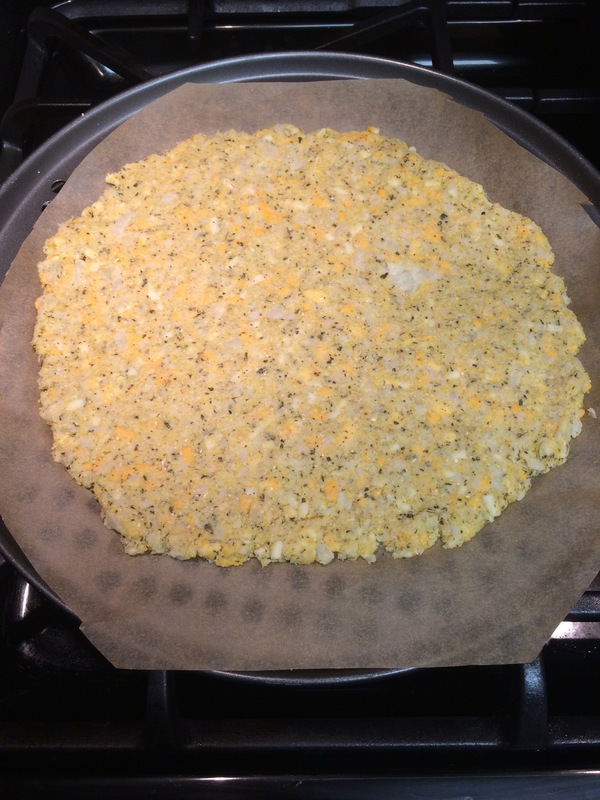 Since my recent success with the polenta fries I have wanted to up the ante and do a cauliflower-cornmeal crust. 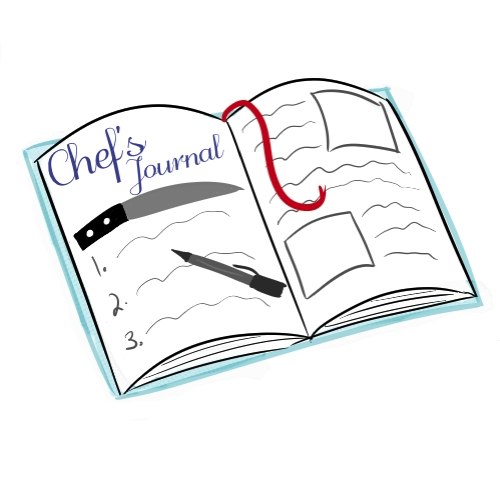 I researched some recipes and tweaked it to suit my tastes. 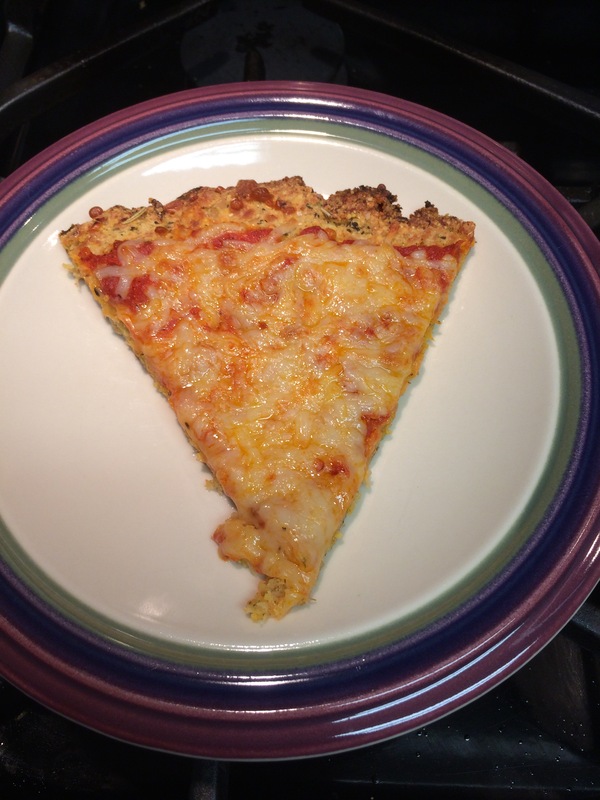 I could not imagine cauliflower on its own coming out crispy, and I love the crunch cornmeal adds. Steam the cauliflower until tender. Drain, allow to cool, and run through a food processor. Do not over process, leave some texture in the vegetable. Place cauliflower in a kitchen towel or cheesecloth and squeeze out as much liquid as possible. Preheat oven to 450 degrees. 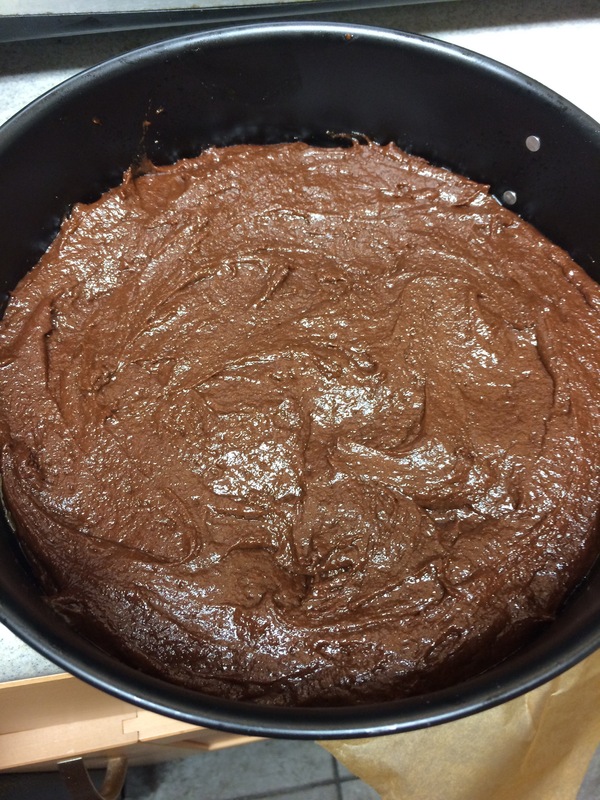 In a mixing bowl combine all ingredients – mix with a spoon then knead dough into a ball. If it is too dry and crumbly, add a touch more oil. Roll out into a disc shape and flatten as thin as you wold like. Mine was about 1/4 inch thick. Bake for 10 minutes until golden brown and edges are slightly more brown. Remove from oven and add your pizza toppings. Bake for another 5-7 minutes or until cheese is melted. Serve immediately. It has to be my Greek upbringing and the fact I only drank milk from birth to four years old, but I love yogurt. Fage was a household staple long before it helped launch a national Greek yogurt obsession. Aside from straight up yogurt, I love tangy yogurt based beverages, like kefir and lassis. 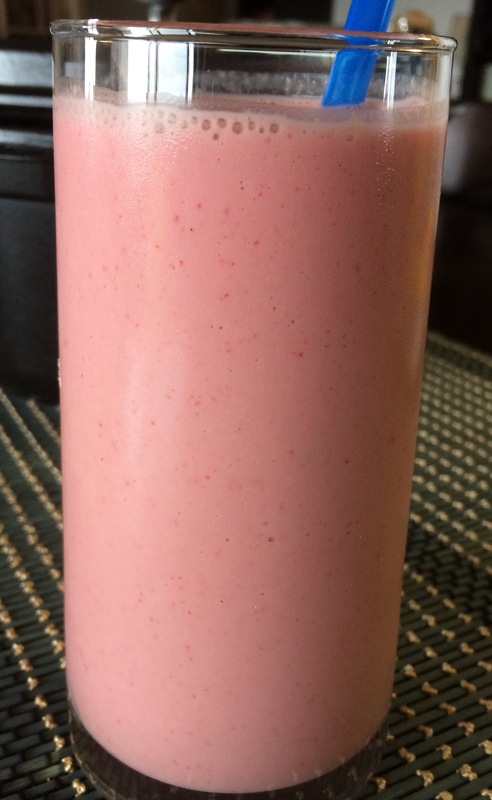 I have previously talked about how I also love smoothies, and a good lassi is essentially that. With summer coming near an end I have been stocking up on berries at the local farmers market. I usually freeze them but I decided to try something new with some of the fresh. I prepped everything for the lassi, so I just have to dump it in the blender with some ice. Some recipes I have seen call for buttermilk, so I decided to try adding some apple cider vinegar, both for health benefits and some added tang. 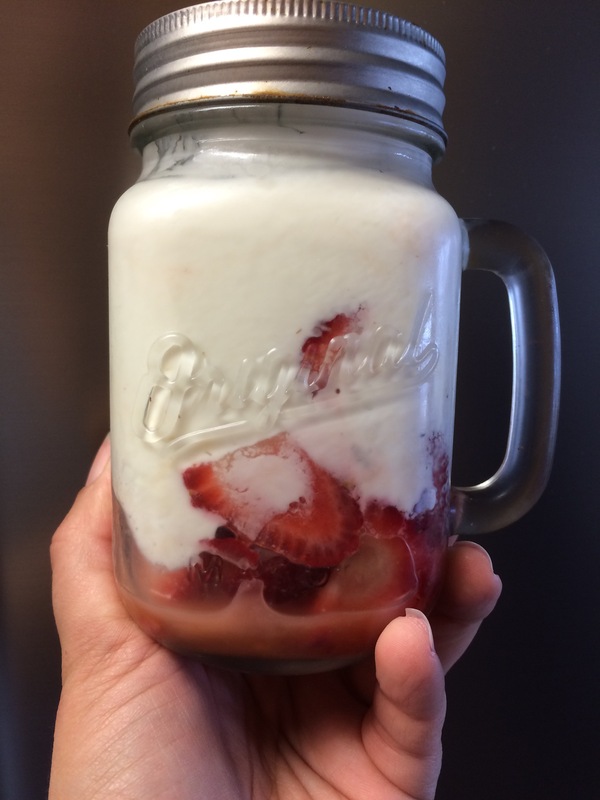 In a jar, I placed about 3/4 cup of fresh halved strawberries, about 1-2 teaspoons of maple sugar, a dash of vanilla extract, 3/4 cup Greek yogurt, and about a tablespoon of apple cider vinegar. 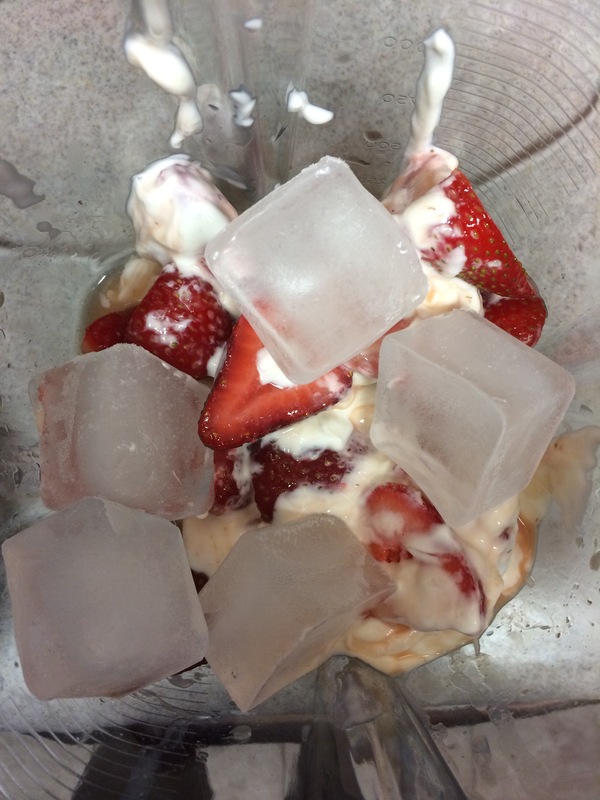 I loosely mixed it and let time do its thing, breaking down the strawberries and adding more zing to that yogurt. When ready to blend I emptied out the contents of the jar into my vitamix, added about 5 large ice cubes and blended away. The lassi was cool and refreshing after a gym workout. The maple sugar added a hint of sweetness and the apple cider vinegar gave the drink a nearly effervescent feel. So I had taken some chicken breasts out of my freezer to thaw, but left one behind, figuring I would get to it later in the week. Later in the week came and I wasn’t in the mood to grill it or make a cutlet or so whatever it is people do with a single chicken breast. 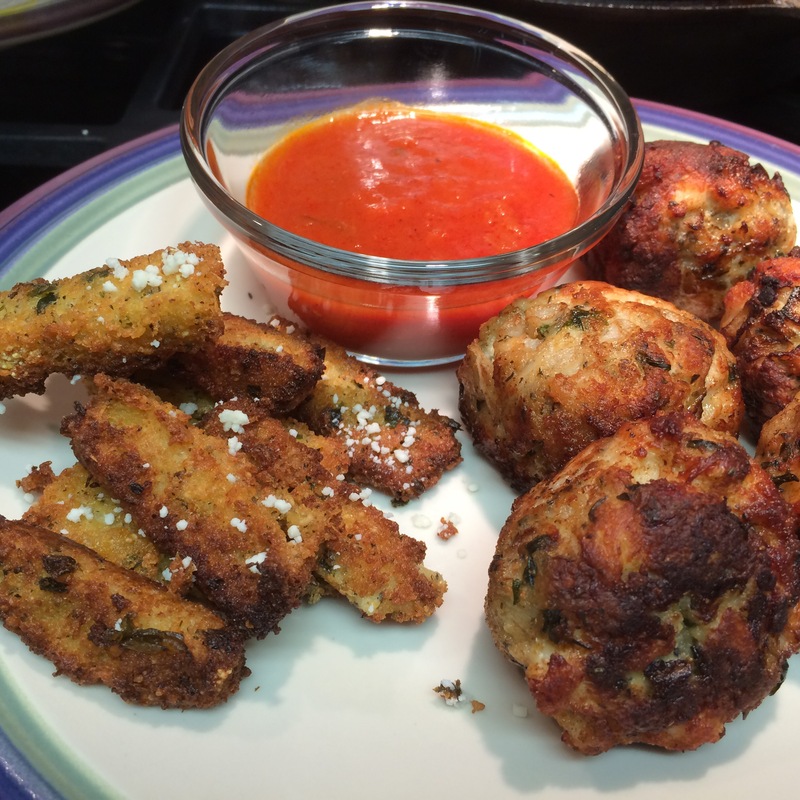 I was really in the mood for meatballs to go with my polenta fries. I realized I do not own a grinder, and a food processor would probably destroy the meat’s texture. So I decided to see what I could do with a knife. As I started to chop, I remembered I have a meat mallet for pounding cutlets. I decided to use that on the breast, combined with chopping, and I was really pleased with the results. It was then time to put the meatballs together. There’s a chain restaurant in Clifton called Spuntinos. It’s a yummy tapas restaurant and every time I go I make it a point to order their polenta fries. 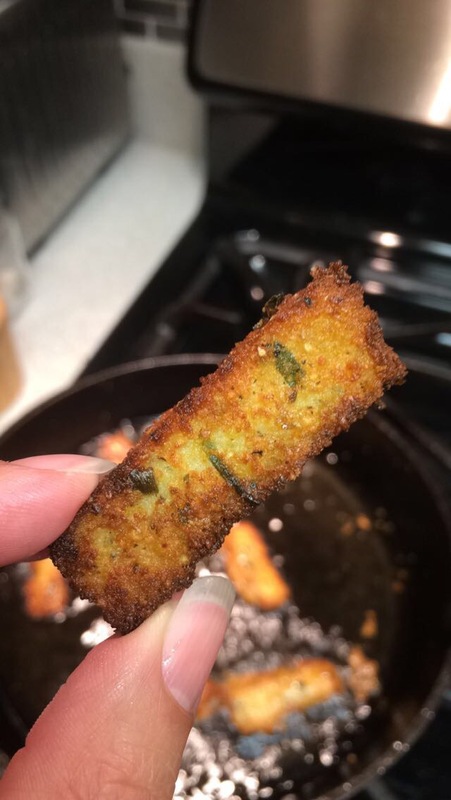 They have a crisp texture on the outside, some nice chew on the inside, and usually seasoned well with herbs and grated cheese. I decided to try and replicate them at home. 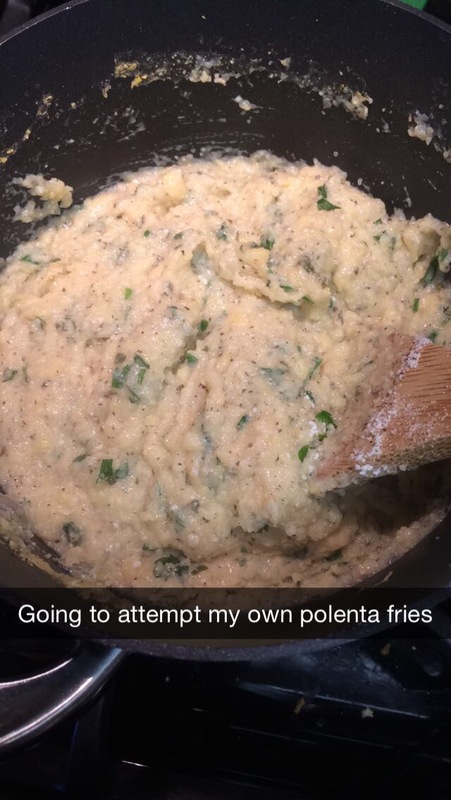 I played around Pinterest and most potenta fries “cheated” with tubed polenta. I prefer to make something from scratch. In pantry project fashion, I assumed I had polenta on hand, but in fact I didn’t. I did, however, have cornmeal. It’s honestly the same thing! My only advice is if you want a smoother texture, pulse the cornmeal in a food processor a few times. 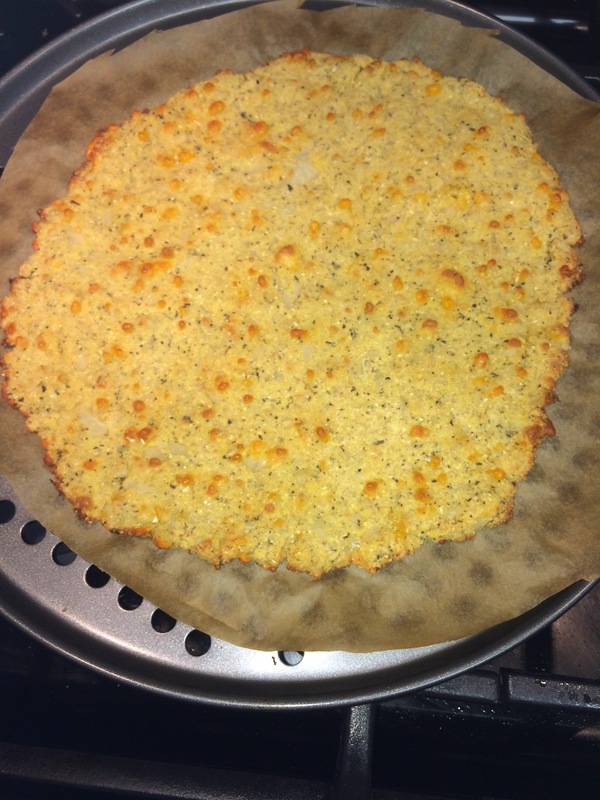 The production was pretty easy, but for best results this should be a two day event so the polenta can set and stiffen. Bring broth to a boil, add cornmeal and stir constantly until full incorporated. Reduce heat, cover, and allow to cook about 10 more minutes, stirring occasionally. 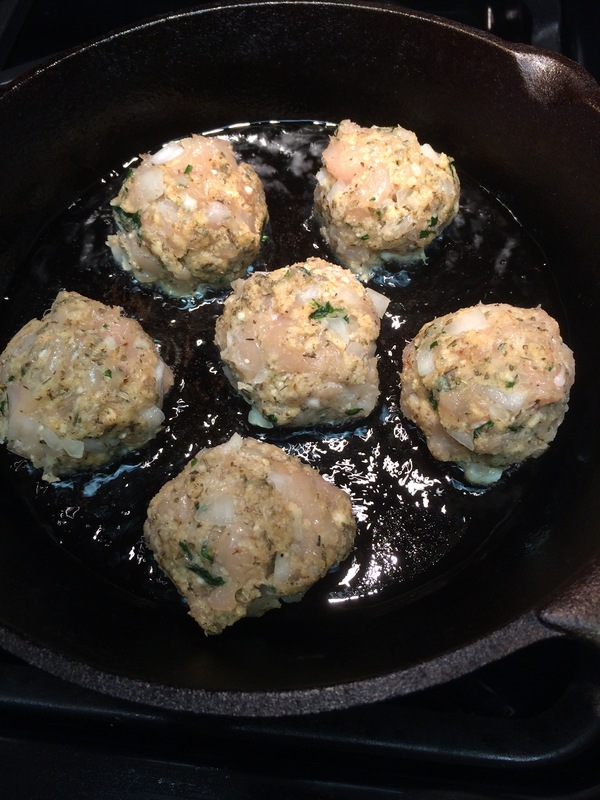 Remove from heat and add seasonings, cheese, and butter – mix until well incorporated. 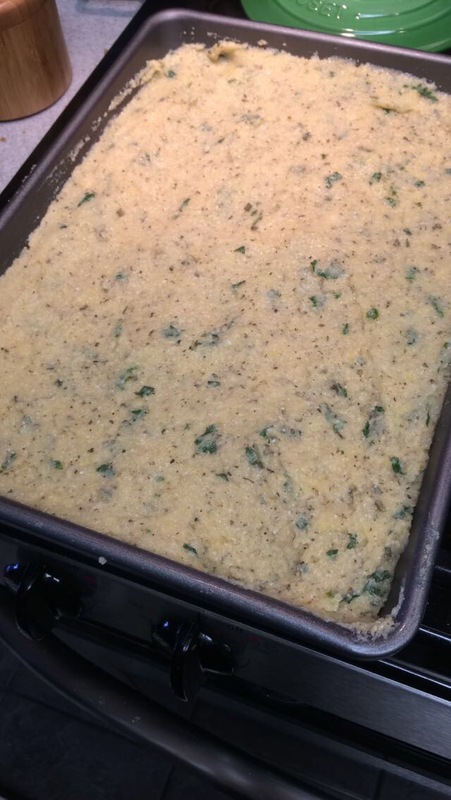 Lightly grease a cookie sheet (one with sides) or jelly roll pan, spread polenta mixture evenly in pan. Smooth top. Allow to cool about 30 minutes, transfer to refrigerator and allow to stiffen overnight. When ready to fry, heat a generous amount of vegetable oil, about 1-2 inches deep in a heavy bottom pot or skillet (I use cast iron) to 350-375 degrees. 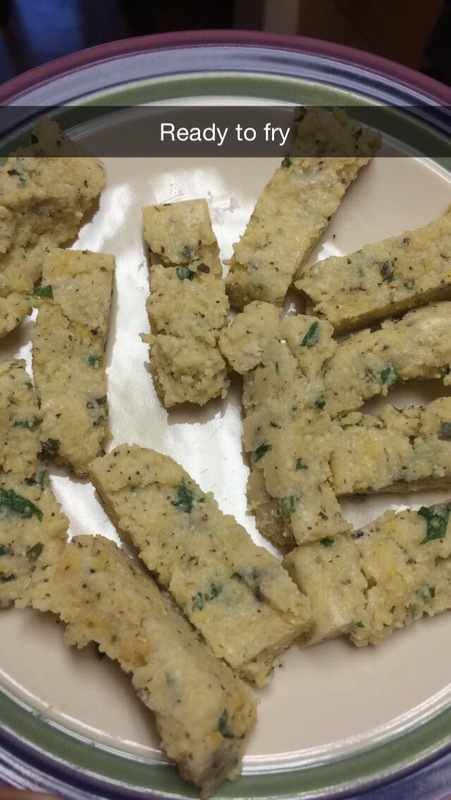 Cut the polenta to desired sized strips. If the mixture falls apart or feels too loose you can coat with a bit more cornmeal. 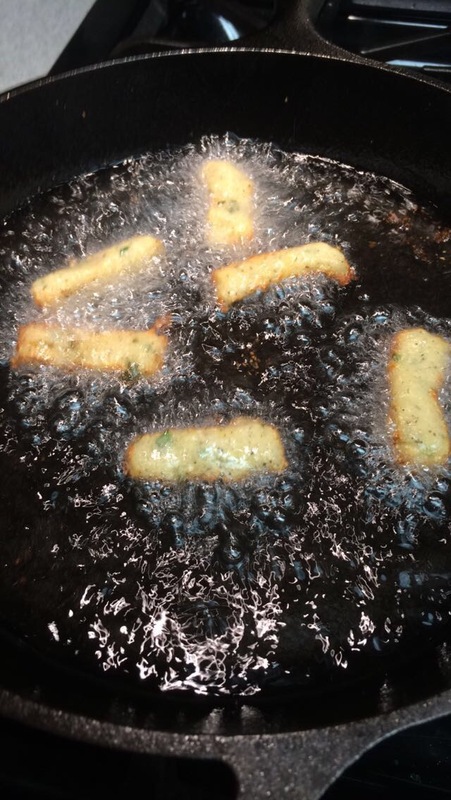 Fry several pieces at a time (do not overcrowd), turning once, until golden brown. Place on paper towels to drain and sprinkle with some hard cheese, like Parmesan, while still warm. Serve immediately with a favorite sauce, I chose marinara but you can do a Belgian style mayo as well. 2015 has not been my year – new job, a painful breakup, sick family members, and just an overall blah feeling. To add to it, I crunched some numbers and financially I am not as well off as I was a year ago. So I’m dusting off the pantry project and seeing how I can save on my food budget, particularly bringing food to work and cooking at home as much as possible. 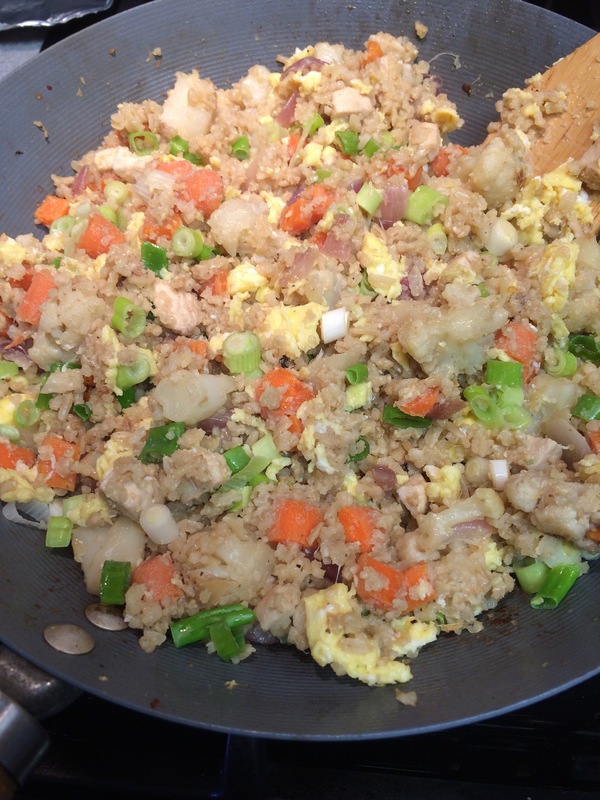 I love fried rice, and typically I make mine with jasmine rice, eggs, onions, mixed vegetables (the frozen ones with carrots, corn, peas, etc), chicken, sesame oil, ginger, soy sauce and once in awhile I’ll add scallions or water chestnuts. 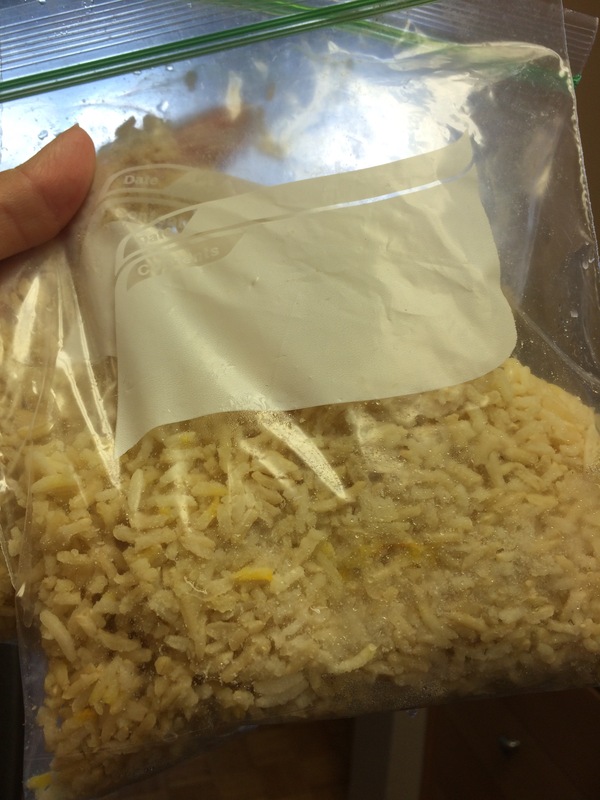 I raided the freezer and found some rice I had made awhile back and didn’t get around to eating it all. It was brown basmati with some saffron. Oh well, this wasn’t about to be an exact science. I hunted around for mixed veggies but alas, I had none. I did have some cauliflower. So I went to work and came up with a hodgepodge of ingredients. In the end, the rice had red onion, chicken breast, diced baby carrots, scallions, eggs, ginger (that I had frozen in ice cube trays), cauliflower, liquid aminos all stir fried in toasted sesame oil. And it tasted no different than any other batch I have made haha. I’m prepping for Sunday’s dinner party. Menu is set (don’t want to share it all as it’s a surprise for my guests), groceries have been purchased, and I decided to start on the dessert tonight. I want to make ice cream cake because not only is it summer, I probably haven’t made one in about 2 years. Looking back on my own recipe, I swore it was Oreo-bottomed, but turns out it is brownie-bottomed. Thinking I had all the ingredients for brownies, I sought out to make it, but alas, I’m out of sugar. Since I don’t feel like bugging any of my neighbors (I don’t really know them), I figured surely I have a mix somewhere in my pantry. I was stoked when I saw a box of No Pudge!, but alas, it was open as I was making a serving at a time. I saw a box of chocolate cake mix and looked to see if there was a recipe for brownies. Alas, there was not. 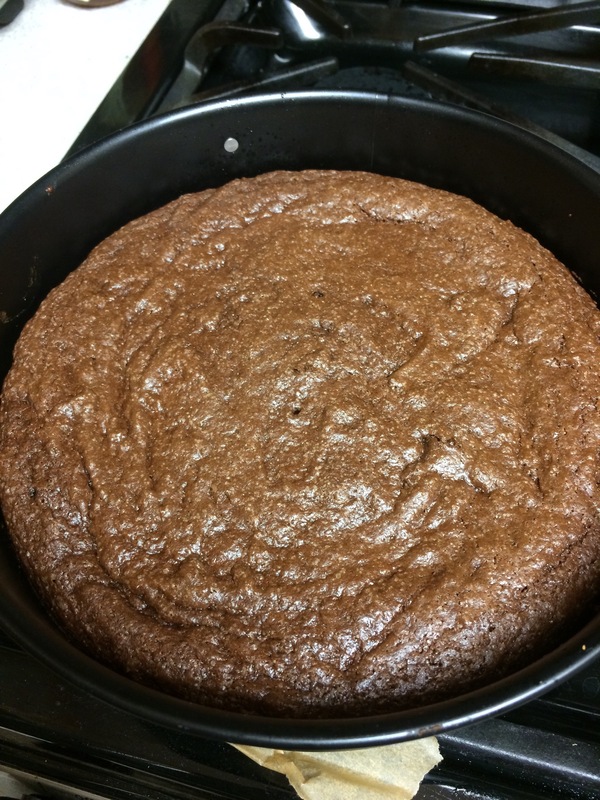 So I googled….I prefer chewy brownies so I did a search and settled on a recipe that sounded super easy – just an egg, some oil, and water. I put the mix together and the texture was super thick and gooey – almost like peanut or almond butter. It also tasted a bit off, so I added a tinge more oil, some salt, and some vanilla extract. I had some trouble spreading it in my springform pan. It is baking as I write this….wish me luck! Update – it came out looking right, but rose more than regular brownies. I hope it shrinks down a bit because I want a thinner base. Worst case, I’ll saw some off the top. I hit a pretty big milestone at work. Big for me, at least, and it warrants celebration. I had told my team if we reach our goal, I would make them dinner. The time has come, and I am ready to show off my culinary skills. However, I am at a loss of what I feel like making. I know for sure what I want for dessert, some version of my Ice Cream Cake. Appetizers is also not hard – I figure Focaccia, cheese/charcuterie/crudite, maybe some Greek tyropita or spanakopita. Where I am struggling is with my main course. 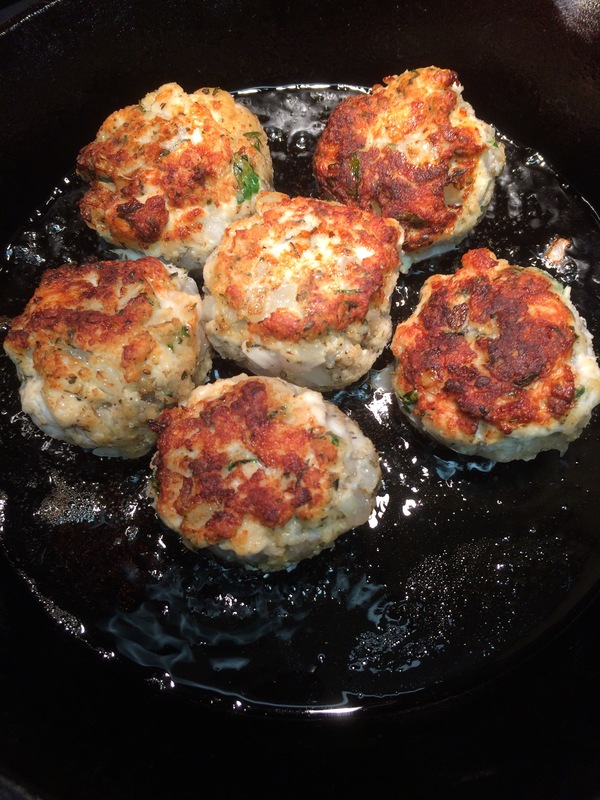 My favorite things to make for a dinner party are a bit more “wintry.” Lately I have also been cooking a lot of fish, but one of my guests is not a fan of seafood, so why torture the celebration? 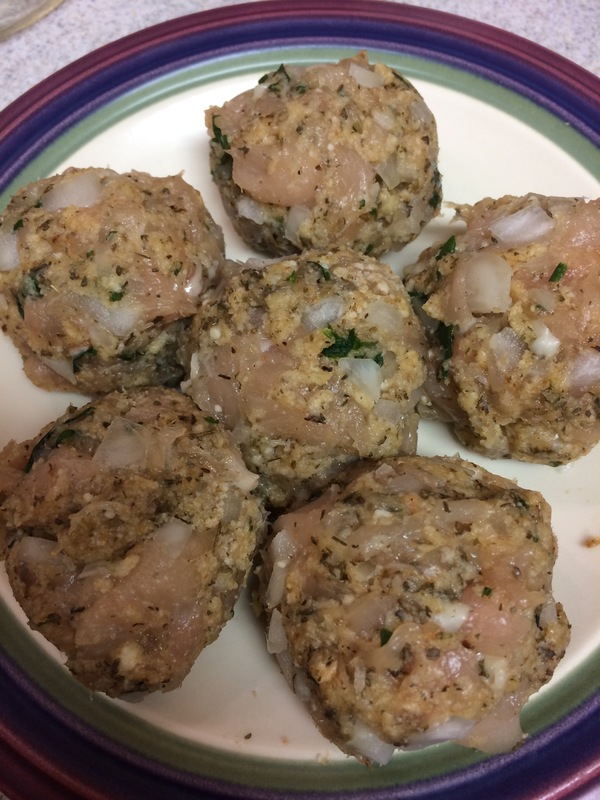 Maybe I’ll revisit the Chicken Roulade with a different stuffing. Or maybe I’ll do a steak and feature my mashed potatoes. So many decisions!